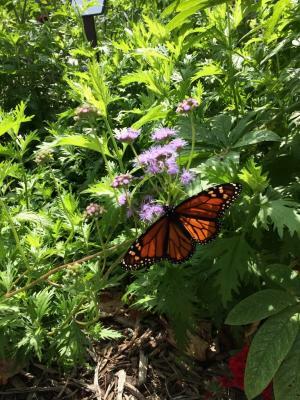 On the first day of the Illinois State Fair, University of Illinois Extension master gardener volunteers observed a monarch butterfly. This butterfly could have been the same one that emerged on August 6, but no way to know for sure. Monarchs are easily recognized by their orange and black wings. A few quick facts about monarch butterflies. Butterflies have a 3.5 to 5 inch wingspan. Monarchs spend the winter in the mountains of central Mexico. They have a complete metamorphosis life cycle. Egg stage last 3 to 8 days. Caterpillar (larva) stage last 9 to 14 days. Chrysalis (pupa) stage last 8 to 15 days. Spring and early summer adult stage is 2 to 5 weeks. Late summer to early fall adult stage may fly to central Mexico, living nine months. In 1975, the monarch butterfly became the Illinois official insect. A pollinator garden should include milkweed plants for caterpillars, and nectar producing plants for butterflies. 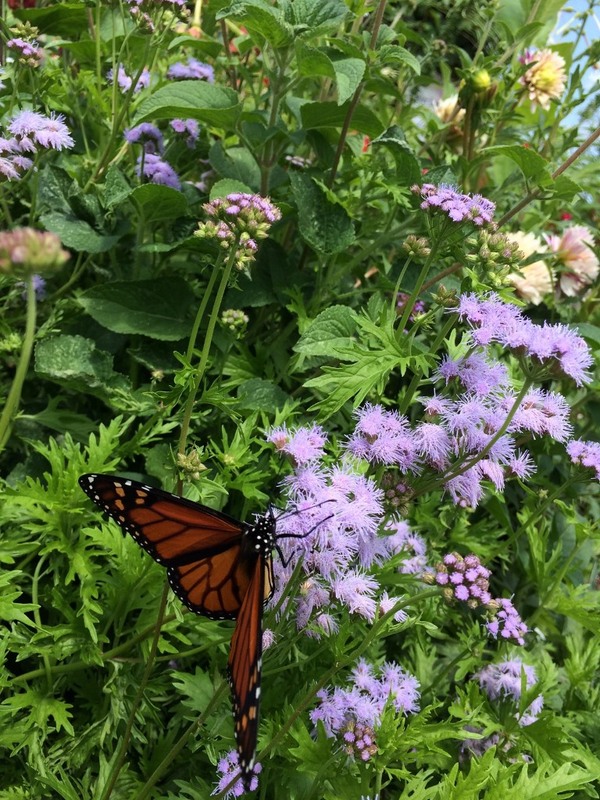 A pollinator garden should be placed in full sun with protection from wind.